It's the perfect time to update your home or commercial space! Check out CW Home Depot's Specialty Store SALE happening until July 31, 2017. Get up to 70% discount on selected items from a wide array of participating specialty stores from today until July 31, 2017! 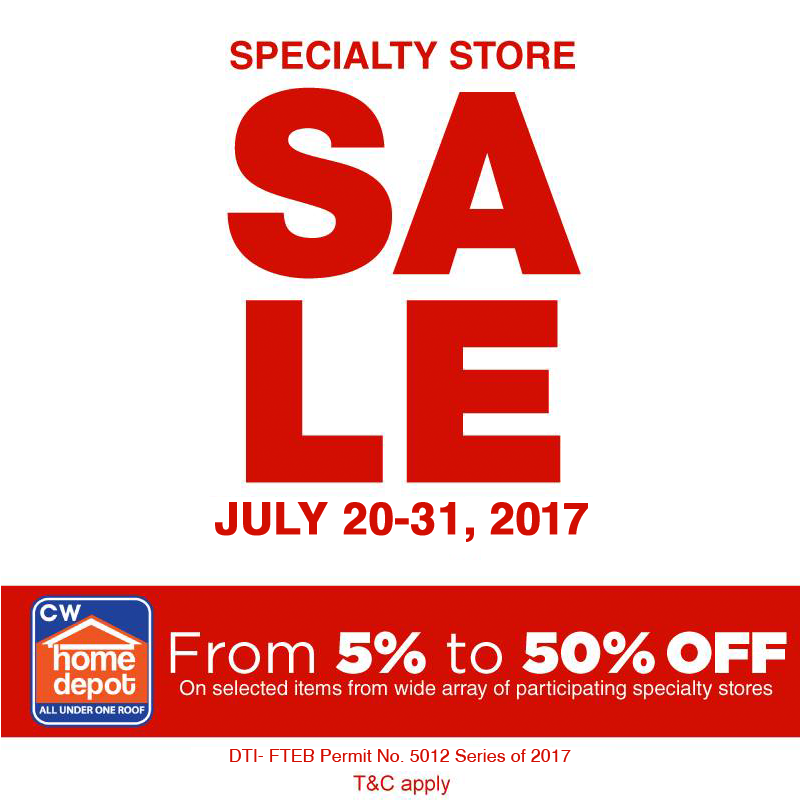 Head on over to CW Home Depot branches now to enjoy big savings!